I must express I think that over the last couple of months the news, and lack of it, has made this forum so uninspiring. Before there were posts about puppies being rescued and hand reared, a long story about one of BARC's long termers finding a new home and how her adopter coped, every month there were posts about all the dogs and cats that had been adopted, it really showed the wonderful work of a group of people at BARC. Now there are only comments about the kennels being closed, phone numbers that people can never get an answer, no information about dogs. The latest step taken that dogs and cats are not being neutered before adoption is terrible. I believe that any rescue should have the duty and take the opportunity to put a stop to uncontrolled breeding and break the chain of these unwanted dogs ending up in the pound either being PTS or in a rescue like BARC again. The truth is unless we have people who are willing and able to update the site on a regular basis it becomes an onerous task for the employees. We are always on the lookout for additional help and assistance wherever we can get it from. If you or anyone else can help, please don't hesitate to let us know. Of course anyone who attends the kennels is capable and welcome to add stories and news to this Forum. You will note however that the photo gallery on the main website is now completely up to date, with pictures of ALL the current CATS & DOGS, which I have to say is a first. Many thanks to Carol Pemberton and Jessica for that! The kennel mobile phone is currently experiencing technical difficulties and is due to be replaced in the very near future. Apologies for that. I think we are all also aware of how deep and widespread the recession has become. BARC is no exception and has been hit hard. The committee have taken a number of necessary measures to help increase productivity, reduce waste and maximise efficiency. It is unfortunate and regrettable that a temporary suspension on UNIVERSAL neutering has had to be implemented. It has however been replaced with a 'means tested' voucher system, so that those who truly need assistance with neutering fee's can still get it. In any case no dogs have never been neutered before adoption as this is completely the wrong environment for such a big op. Neutering etc has always been done post-adoption so the new owners can look after their pet 24/7 post operatively. We make a substantial loss on EVERY animal that we take into our care, whether they require neutering or not. Needless to say that the additional cost of neutering is a substantial one, and where adopters are able to pay for their own dogs care, we are asking them to consider this option. I think there is perhaps an element of the 'grape vine' playing a part in what you may or may not have heard but rest assured the care and welfare of the animals in our care is paramount. A suggestion could be that the money raised at the Bunny day (759 pounds) towards neutering animals??? Like any charity, I am sure BARC relies heavily on the good will, compassion, kindness and comittment of all staff involved; the majority of which, I imagine, do not get paid for their time. Therefore, I do not think it is helpful for people to criticise any of the services provided. As for the £759 raised from the Bunny day, I am sure there are a thousand and one uses for it, e.g. feeding the animals? It should not be assumed that people are scratching their heads wondering what this money should be spent on. 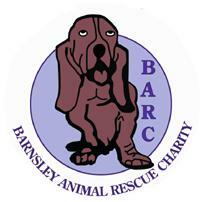 Well done to everyone working at BARC, I along with many others think you are doing a fabulous job! Alison & friends, thank you for your support. Libby - you have made your position loud and clear, as have I. As I have said before "We continue to spey an neuter ALL dogs that leave our care". The only change is we may ask some customers who can afford to pay for this treatment themselves to do so, or perhaps make a contribution on a means tested, voucher system. That was our turnover for last year. We barely broke even. Since then there has been the recession and things are harder still. Need I say more. I would be more than happy to discuss our financial situation, accountancy issues and/or Charity Commission regs should you, or anyone else, wish to discuss it further, OR however else we might use our "profits" in a more effective manner. Should you (or anyone) wish to discuss this further please ring me personally on 07747466573. I will be more than happy to discuss. In the interim please consider the inference's your messages are conveying at present as they are causing a certain amount of anxiety among our members.